What cyclists eat and drink determines how fast and how far they can ride. What are your goals? Recreation, competitive racing, or heavy-duty triathlons? Even recreational riders should pay attention to their diet; maximize your ride and get the body you want. All athletes and exercisers need energy to function. Many cyclists avoid caffeine, knowing it’s a diuretic, but here’s a surprise. During endurance exercise, the dehydrating qualities of caffeine are practically nil with small amounts of caffeine. And studies have shown that it may help the body burn fat, rather than carbohydrate reserves. Coffee is not an ideal source of caffeine for exercisers or athletes – therefore, don’t think you can justify your Starbucks habit. We have only 1,500-3,000 calories of reserve carbs, but the body stores 70,000 fat calories at any given time, so burn, baby, burn. Each hour of an intense bike ride will use 500-1,000 calories. Your overall protein needs will increase during exercise; supplement at 1.2-2. g protein per kilogram of body weight per day depending on your intensity and length of exercise. For endurance events, you can increase your carbs three days prior. This maximizes the body’s glycogen stores. While you ride, you need 30-60 g of carbs for each hour beyond the first hour. An energy bar works. Practice eating while you ride and don’t change your food choice on race day. Remember, fat can contribute as much as 75 percent of your energy demands during endurance training. Keep foods simple. During a ride in hot weather, the body’s ability to digest becomes compromised. Liquid foods avoid this situation, and keep you speeding along without much hassle. Certain energy drinks can fill the bill, as does an Ensure protein drink, available in any drug store. Ensure also comes in powder form; having baggies of it allows you to add it to water, drink a meal, and continue on. You can also mix fruit juice and water for a source of hydration, carbs and sugar for your blood. How’d you like to burn 350-500 calories per hour, doing something that’s refreshing and widely available? If your answer’s yes, then go put on your swimsuit and keep reading. Swimming is great exercise, whether you do it casually or in a serious, “endurance sport” manner. Triathletes must make diet their primary focus if they want to significantly improve their performance. But for any type of athletic conditioning, nutrition is at least 80 percent of the formula, and training makes up no more than 20 percent. Keys to the 80/20 formula are quality, quantity, and timing of nutrients … learning not only what to eat but also “how and when” will maximize results in triathlons, multiple-sport activities, and even for recreational exercisers. Developing good eating habits every day can make the difference between great training/exercise/events, and just struggling through. Note that I said “habits.” Eating well can become a habit over time, one you no longer have to think about, or feel burdened by in any way. Commit to the concept of positive, life-enhancing, sport-enhancing long-term change through diet, and over time, you will develop this good habit just as easily as people develop bad ones. Now, back to the pool. Is there any truth to the phrase “no swimming until one hour after you’ve eaten?” Yes, a bit, but only if you’re planning on swimming with extreme intensity, as in a triathlon. Recreational swimming falls in a different category. You, your children or grandchildren can all swim or play in the pool after eating. Frolicking with a full belly is perfectly safe. In fact, if you plan to swim in the morning – especially just after rising from a night’s sleep – eat something. Engaging in vigorous exercise on an empty stomach will cause you to suffer. You’ll feel weak, possibly dizzy, perhaps sick to your stomach. Certainly your workout will be a poor one and most likely will have to be cut short. After sleep, your blood sugar is low. So have a snack before you hit the pool. Swimming is less demanding than running or cycling for pre-activity nutrition. Even fruit, toast or a sports drink will do, to elevate the blood sugar a bit. Hydration before or during swimming is not much of an issue because you won’t overheat in water, but hydration after swimming restores electrolyte balance. In all three triathlon sports, post-workout nutrition should occur within 30 minutes of stopping, when the body is most receptive to carbs for replacing glycogen lost during the workout. Ingesting protein will help muscles recover and rebuild stronger. Women swimmers especially need to be aware of the potential for iron and/or calcium deficiencies. Lacking either or both of these essential minerals will affect performance. Remember the 80/20 rule and decide now to develop good habits. It does not matter how hard or how much you exercise; good nutrition and healthy eating habits are the crucial component. Next week we’ll discuss nutrition for cycling. Whether you’re a triathlete, a recreational or endurance runner, or even a power walker, your body relies on proper fuel to do what you ask it to do. Training will take you only so far, no matter how religiously you do it. Here’s a surprising statistic I mentioned last week: nutrition counts for 80 percent of athletic training. A total of 45-65 percent of runners’ and walkers’ diets should be carbohydrate-rich foods. Carbs give us quick and long-lasting energy. They’re also easier for the body to use than proteins or fats. I’ve always been an advocate of eating whole-grain foods – breads and pastas, wild rice, veggies, beans and oatmeal – but you must read labels carefully. Whole wheat does not equal whole grain. 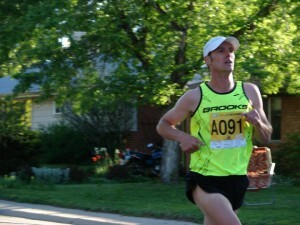 Runners also need “good” fats, typically 20-30 percent of daily intake. Fat is energy for muscles, once quick-burning carbs have been used. Avoid trans fats. Heart-healthy omega-3s come in walnuts, flax seeds, cold-water fatty fish, soybean and canola oils and even tofu. Don’t forget protein. A total of 15-35 percent of a runner’s diet should be lean proteins such as fish, poultry, low-fat dairy, nuts and seeds. Avoid foods high in saturated fats and cholesterol. Find the percentages that work for you, and remember: hydration is key to the formula, and timing is everything. Drink early: do NOT wait for thirst to set in. Think of hydration as a pro-active commitment, not as a fix for thirst. Watch your urine: if it’s pale, you’re drinking enough water. Always choose a pre-exercise meal that’s low in fat and fiber, is high carbohydrate and includes moderate protein. That’s the formula for endurance and energy. 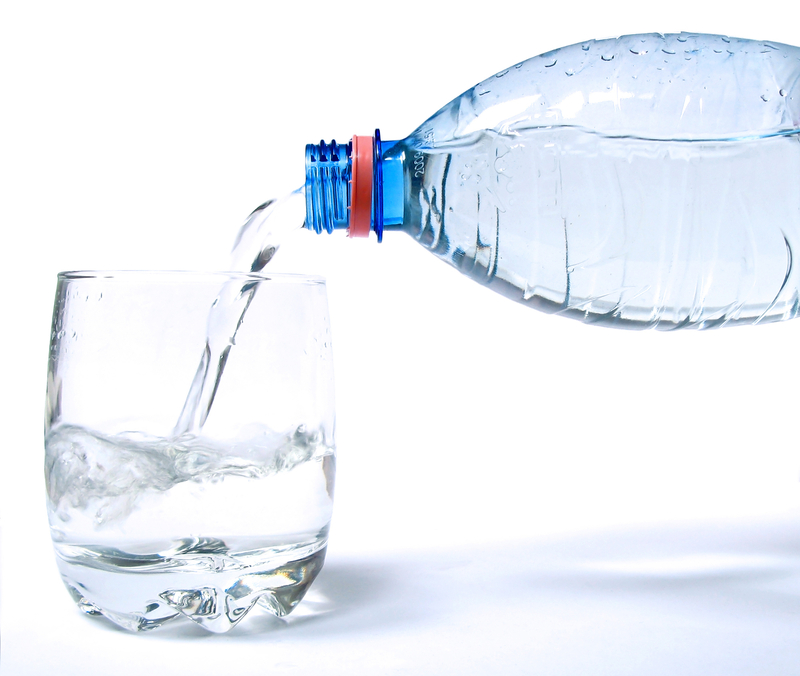 While running, consume approximately 8 ounces of water every 15 minutes. If you’re exercising longer than an hour, alternate water and Gatorade about every 15-20 minutes. For high intensity workouts, I also suggest a sports drink like G2 (Gatorade2). After running, you need 3 cups of fluid for every pound lost. Your body also needs protein and carbs (like chocolate milk and trail mix). A protein boost within 15-20 minutes of ending your workout will dramatically affect how your muscles rebuild and replenish. The time period right after exercise – your short-term “recovery” window – is the most critical for improving your body. Training breaks down muscles, literally, and depletes natural energy stores (glycogen). During recovery, muscle tissue begins to repair and in so doing, strengthens. Energy replenishes. Timing is key. Your short-term recovery window is only about 45 minutes, and can be wasted during a post-workout chat and/or drive home. Once this window closes, your muscles will no longer be receptive to the nutritional assistance you could have provided. Bottom line: have a snack immediately following a workout that contains carbohydrate and protein, for this critical period. You’ll start to see a real change in your muscle tone, endurance and energy. A good post-exercise meal, within 60-90 minutes, could be salmon, brown rice, broccoli, peppers and carrots. Let your body enjoy long-term recovery on “no-workout” days, while you focus on a healthy diet. And don’t skip meals. I personally eat six small meals a day. Next week: nutrition for swimmers. Whether you are establishing a new exercise routine, increasing your fitness or looking for ways to maximize your existing plan, your body requires proper nutrition and hydration before, during and after you exercise. Nutritional guidelines specific to sports, cardiovascular and wellness nutrition are designed to help you understand how much, how often and what kind of nutrients your body needs to improve performance and recovery. For example, before exercise, it is important to consume a carbohydrate-rich snack or meal, along with small amounts of protein to help build and repair muscle tissue and reduce post-exercise muscle soreness. Low-fat and low-fiber foods are best to ensure optimal digestion. - Turkey and cheese sandwich with fruit and a sports drink. In addition, approximately 30 to 60 minutes before exercise, you should eat a light snack such as a piece of fruit or a small jam sandwich. Also, drink plenty of water or a sports drink. Nutrition and hydration during exercise also is important, particularly during prolonged exercise such as a marathon or long bike ride. This requires the proper mix and timing of fluids, carbohydrates and electrolytes. Too much can result in cramping or other intestinal problems. Too little hydration can cause dehydration, fatigue and impaired performance. Easily digestible foods such as a banana, low-fat granola or nutrition bars are recommended during endurance training and events. 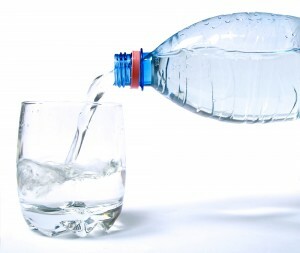 In addition, you should always drink plenty of water or sports drinks that contain carbohydrates and electrolytes to help speed fuel to muscles. For short duration exercise, less than 60 minutes, water is a good choice to drink before, during and after exercise. Following exercise, eating for recovery is important to restore fluid and electrolytes lost in sweat, replace muscle fuel utilized during activity and to provide protein to aid in repair of damaged muscle tissue and to stimulate development of new tissue. - Rice bowl with beans, cheese, salsa, avocado and whole grain tortilla. A nutritional plan tailored to help you achieve your personal exercise goals will help you maximize performance and results. Experiment with foods and hydration to create a custom plan that what works best for you. 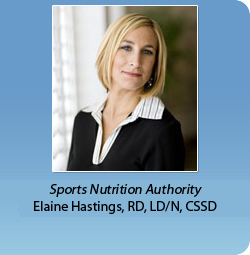 A registered dietitian can assist you in designing a program based on the amount and intensity of your exercise schedule and your desired results. Whether you participate in sports activities, aerobics, weightlifting or a competitive fitness program, following proper nutritional guidelines is critical to helping you achieve your goals. Back-to-school means back to the courts and fields for student athletes. Reaching peak athletic performance doesn’t mean you have bulk up on carbohydrates or chug the latest sports and energy drinks. Student athletes have unique nutritional needs, requiring approximately 2,000 to 5,000 calories per day, depending on body composition, amount of exercise and other health factors. Because body sizes and activity levels vary from person-to-person, you need to alter your diet to fit your individual needs. For more information, visit http://www.mypyramid.gov/ and create a personalized plan that works best for you.